A couple of months later, a mysterious $10 charge starts appearing on your monthly credit card bill. What's going on? The free trial membership in the shopping club ended, and now you're paying monthly dues for something you never really wanted in the first place. The report studied three Connecticut-based marketing companies, Affinion, Vertrue, and Webloyalty, which partner with hundreds of trusted online retailers to sell shopping club memberships. The Senate committee report said the companies' sales tactics "exploit consumers' expectations about the online checkout process." The offer for the trial membership is inserted during the transaction process. So if you're not careful, you might unwittingly agree to join a shopping club, thinking you're merely continuing your purchase. And you probably don't realize that your credit card number, which you gave to the online retailer to make your purchase, is given to the company who is marketing the shopping club membership. Companies that market these memberships online have many years of aggressive telemarketing and direct-mail marketing experience. If you do a lot of online shopping, you could find that you've inadvertently signed up for multiple shopping club memberships, and cancelling these memberships is often an uphill battle. According to the investigation, Webloyalty and Vertrue agents did not inform all consumers about their additional memberships. Consumers who mentioned the "magic words" (Attorney General, Better Business Bureau, and bank representative) were more likely to receive a full refund when trying to cancel the membership. These online marketing arrangements are yet another reason to review your credit card statements thoroughly each month. 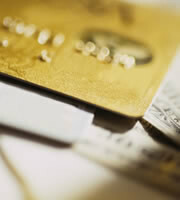 It's easy to miss a $10 charge here and there if you make most purchases with your credit cards. Investigate any charge you don't remember. Cancel a membership immediately if you discover you enrolled by accident, and of course call your credit card companies any time there's a charge that you didn't make. 0 Responses to "Don't get snared into free trial memberships"